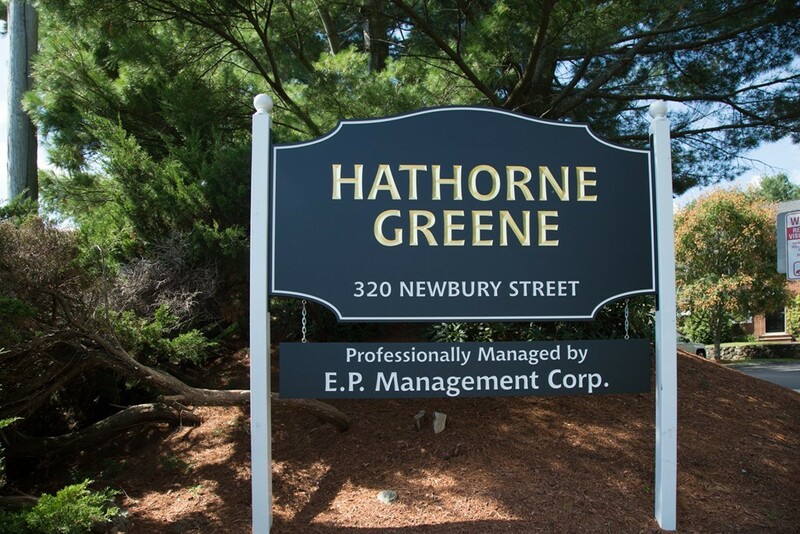 4 FINISHED LEVELS OF LIVING at this highly desirable maintenance free community of Hathorne Greene. Sunny, spacious, warm and inviting. Eat-in kitchen with large bay window. Sliders open to your private deck off the open living room/dining room combination. Master bedroom with double closets & vanity area. 3rd-floor bonus room offers skylight, closets, storage to use as a bedroom, guest room, home office, exercise room...Large finished family room in lower level. Heating/Central Air, Hot Water Tank, Carpeting 2016. Skylight, front door & back sliders 2018. Pets allowed with restrictions Convenient assigned parking space located directly in front of the unit!! Plenty of guest parking. Located 25 minutes from Boston. Easy access to commuting, shopping, dining and much more. MAJOR CAPITAL IMPROVEMENTS OVER LAST YEAR! !